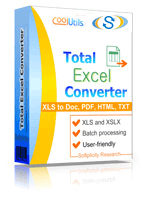 The XLT file format is a part of a larger family of file extensions associated with Microsoft Excel. XLT is what's known as a "legacy" format because it's been out of use for quite some time now. Deprecated since the release of Microsoft Office 2007, XLT is now officially been designated "Microsoft Excel 97-2003 Template". Despite its binary nature, and it no longer being in use, the latest version of Excel is still capable of opening XLT files. XLT is associated with spreadsheets, graphs and charts and contains all the default data necessary to create this type of file in the form of a template. It's easy to understand how XLT came to be a deprecated format once you learn the history behind it. Microsoft Excel is actually the first spreadsheet application to use a graphic user interface (GUI); giving users the ability to point and click with a mouse. In the decades since, Excel has released dozens of updates and new versions. A number of different Microsoft Excel products are capable of opening XLT such as Excel Mobile and newer versions of the desktop application. There are a few other programs able to offer support in opening XLT files including Lotus Translation Table, Procomm Plus Translation Table, PDF Creator, and Microsoft Open XML Converter. Several other programs that are mostly unaffiliated with Excel are also able to open XLT files and they are PlanMaker, NeoOffice, LibreOffice Calc, and OpenOffice Calc. However, what should you do when you want to not only open an XLT file but use it elsewhere? One solution is to convert it from XLT into a completely different file format that better reflects the program with which you'd like to use it. That's where CoolUtil's Total Excel Converter can help! With wide-ranging support for a variety of formats our converter can take that XLT and convert it into a XLS, DOC, PDF, HTML, JPEG, TIFF, TXT and so many more. We don't simply assist you with conversions; we give you all the tools you need to make your target documents cooler than the originals! With support in 13 different languages, our utilities are renowned around the world and backed by more than eleven years experience in app development. Download our 30 day trial today, and check out how amazingly helpful the Total Excel Converter can be.